New York Fashion Week takes place a couple of weeks before the Academy Awards, so lavish gowns that debuted on the runway are great candidates for the red carpet. This time around, there were lots of breathtakingly beautiful gowns that can hold their own against the European fashion houses that are perennial awards favorites. 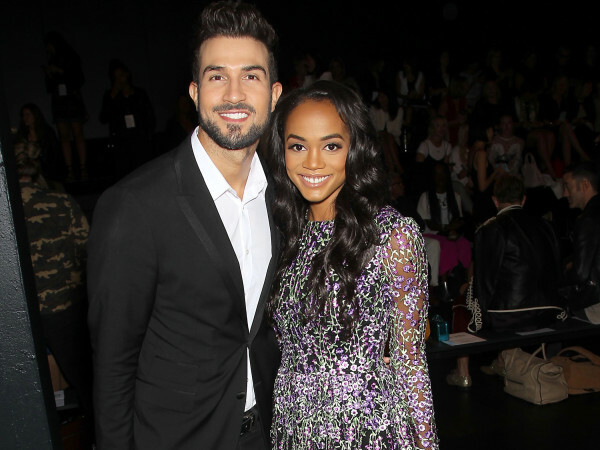 Red carpet favorites Naeem Khan, Marchesa, Christian Siriano, and J. Mendel led the way with a large number of gorgeous gowns, but other designers had lots to show as well. 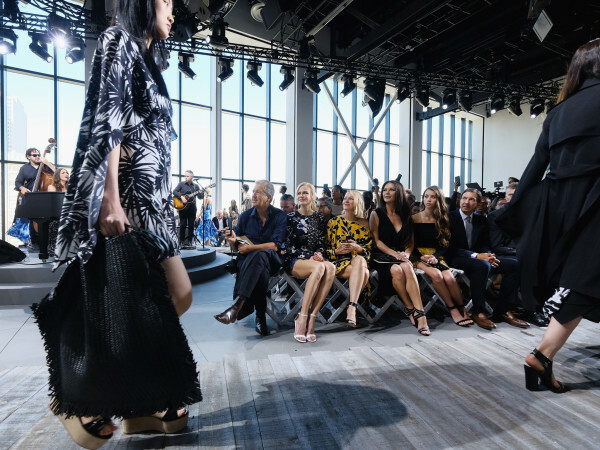 It's no wonder stylists in the audience were eagerly eyeing gowns, ready to ask designers to hold them for the big event that takes place Sunday night in Hollywood. 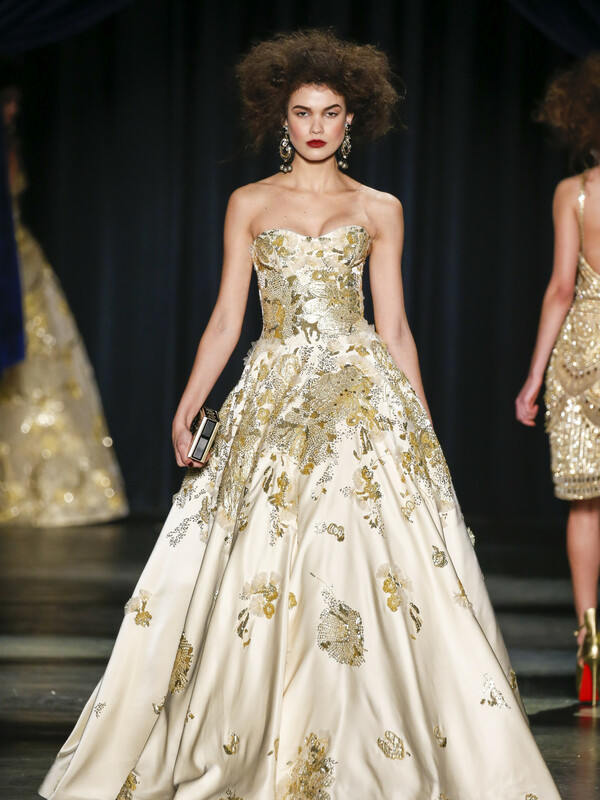 Backstage at the Naeem Khan runway show, celebrity stylist Phillip Bloch singled out this champagne satin ball gown with gold floral embroidery and sweetheart bodice from Khan's fall collection. "If it doesn't end up on the red carpet, that's a sin," Bloch said. 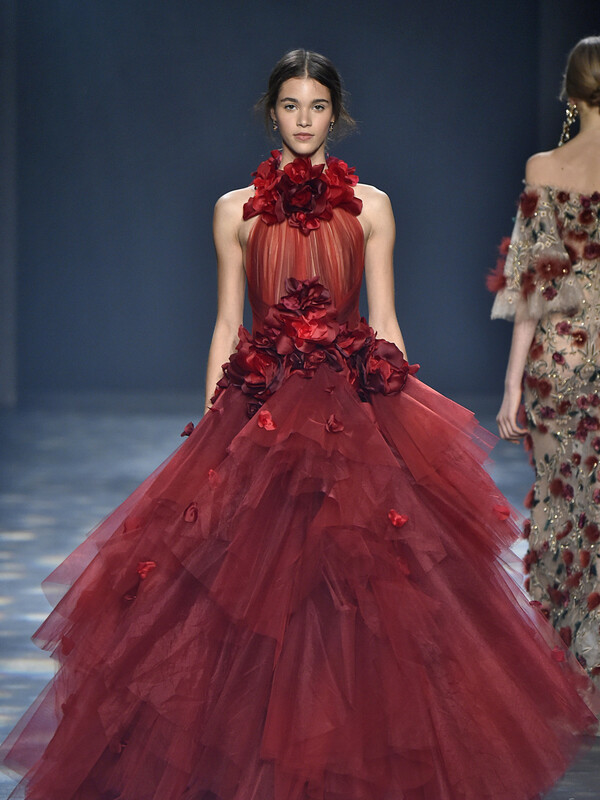 Just about the entire Marchesa fall collection of gowns inspired by the paintings of John Singer Sargent will make an impact on the red carpet. I particularly like this red-to-black ombre ball gown with halter neck, laser cut organza flowers, and tiered ombre tulle skirt. Carolina Herrera's lovely purple sequined gown is a photographer's dream. This crimson, fluid suiting velvet evening gown from the fall Ralph Lauren Collection is elegant and attention-getting without trying too hard. 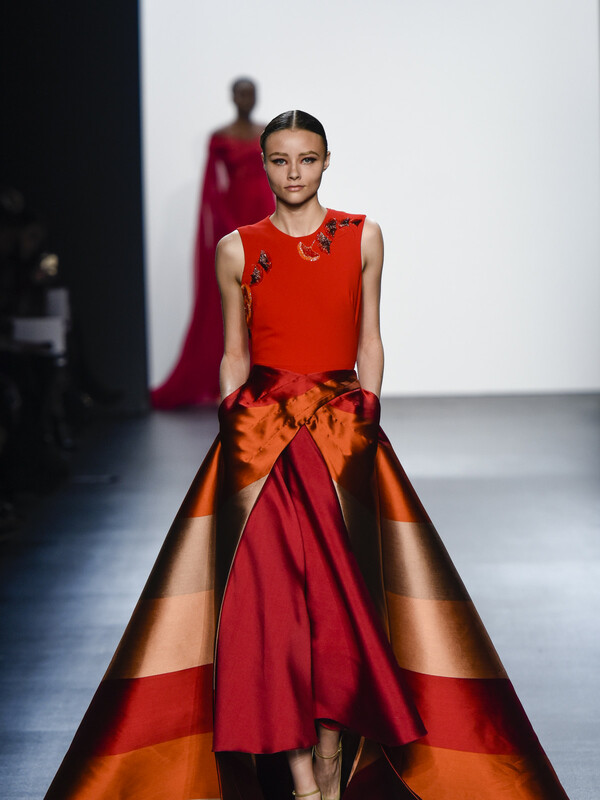 Christian Siriano showed a number of different types of gowns that will make an impression on the red carpet, but this marble burnout organza multi-layer, off-the-shoulder gown is a standout. Sophie Theallet channels Old Hollywood glamour with a high-neck creme satin gown and fur. 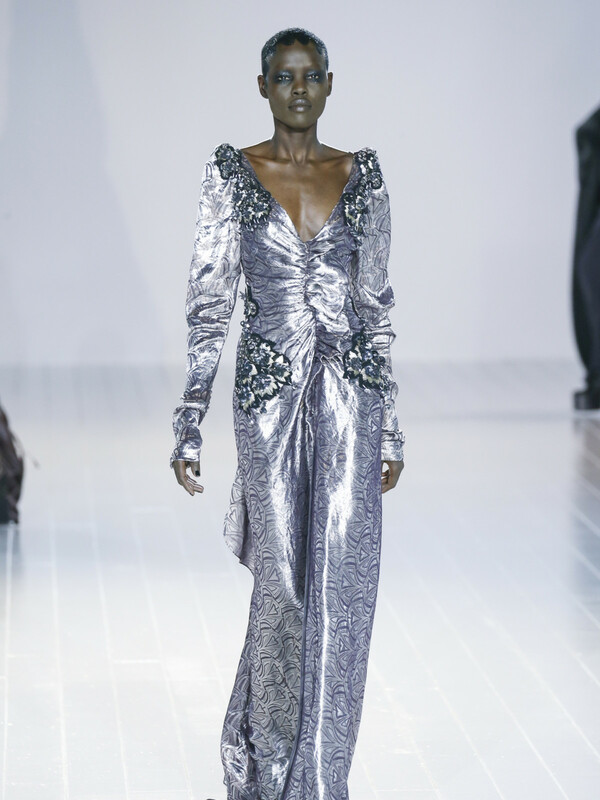 Jenny Packham's red ombre, hologram sequin long-sleeved gown is sure to photograph well. If going gold seems too obvious, Marc Jacobs offers a silver alternative. This Marc Jacobs gown is not for everyone, but take away the Morticia Addams styling, and it can shine on the red carpet. Bibhu Mohapatra's entrance-making silk road jacquard robe skirt worn over a mulberry flared skirt and ginko-embroidered crepe top is sure to attract attention. Oscar de la Renta's Peter Copping goes for simplicity with a metallic mauve strapless gown. Marchesa's lilac and violet soft tulle Grecian gown with handmade feather and tulle flowers is dreamy.